The fire broke out on the first floor of the house, located at 60-26 55th St., during the early hours of March 20. A team of 60 firefighters responded to the scene around 4:30 a.m., taking them about an hour to get the fire under control. While the extent of the damage to the house has not yet been determined, four of the firefighters suffered minor injuries. The cause of the fire is still under investigation, an FDNY spokesperson said. 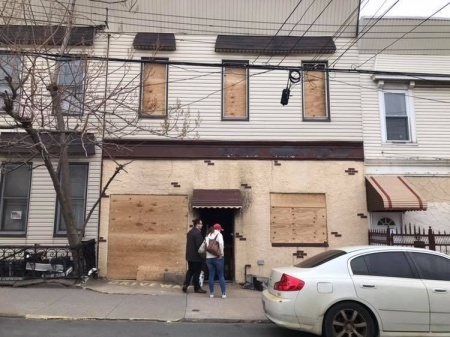 The owner of the home was thought to have been living in the building, a representative for ACC said, and the cats appeared to be well taken care of. In the days following the fire, however, the owner died of an apparent suicide. 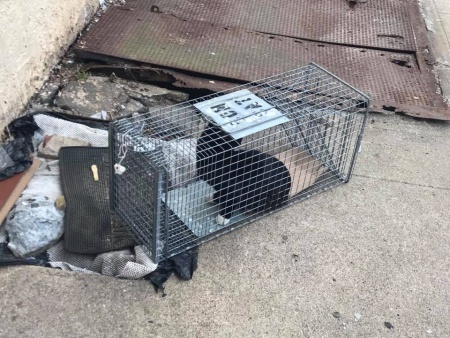 ACC entered the home on March 23, and began setting out traps to rescue the cats. To date, 32 cats have been taken in by the organization. Since their rescue, one cat has been adopted and 11 have been placed in foster homes through partnering rescue organizations. Twelve of the rescued cats are currently available for adoption while ACC is continuing to work with the remaining cats on behavioral issues. Council Member Robert Holden’s office has taken an interest in the rescued animals and is in communication with ACC to ensure that all of the cats find homes. Holden’s office has also said they were planning an adoption event for the homeless felines, but due to an overwhelming response from community members looking to foster and adopt the cats, it may no longer be necessary. For more information on the available cats, visit the ACC website. These cats have no behavior issues.. These precious cats enter into these facilities traumatized to begin with. They are scared out of their minds, having been lost their human & home they ever knew. Animal behavior training degrees or experience other than working at a shelter. New York Animal Control has one of the most deplorable and disease-infested environments, so much so that animals that are perfectly healthy one day are dying of respiratory bacteria and choking to death in their kennels only two days later. So bottom line here if they don’t get sick then they are labeled for behavior just so they could INHUMANELY murder them.. These DISEASE infested shelters are run by NYC Department of Health ..imagine the DOH running disease infested buildings!! 2 years later not one sign of aggression. A rescue I foster for pulled 8 that were labeled for behavior all 8 in new homes aND no behavior issues . So basically your tax dollars spent on killing healthy adoptable pets.. also they don’t humanely kill them they let them suffer an long & agonizing death. Many have been found dead in kennel .. The murder of innocent animals at kill shelters speaks volume about America the people in it, the value placed on Life and how heartless we have become. Is Councilman Holden considering death row a way to “help” the cats? AT LEAST one is on NYC ACC kill pound death row tonight & has only until noon on Saturday to be rescued. If Holden is “helping” he needs to stop NYC ACC from trying to kill the cats & have them take the one(s) on death row off death row NOW. (Helpful tip: Taking cats to a kill pound is never helping.) Please demand that he save them! Any updates on the rest of the cats? Have they all made it out yet? Or are there still a chance for cats to make it to the kill list??. I do know that there is a rescue group called Angelical Cats took 2 of them. I did hear there were 40. I don’t know where the others have gone to though. Wishing them safety. I hope people canput updates on here. Also does anyone know if any cats were lost in the fire or were they all saved?.